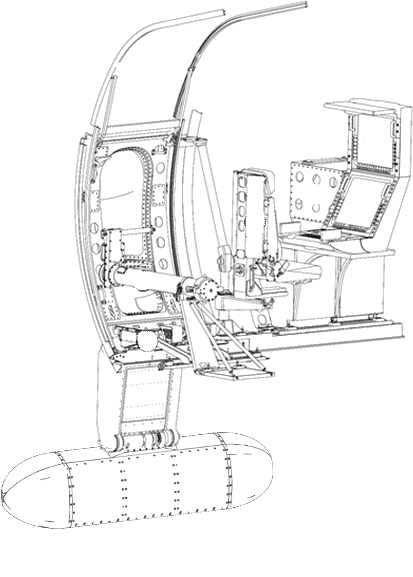 Airdyne Aerospace Inc. | Why Sabir? - Airdyne Aerospace Inc. Although the concept is platform independent, the first SABIR system was designed for the ubiquitous C-130 aircraft. With SABIR, this well-established and reliable aircraft can, for a small fraction of the cost of a new purpose-built aircraft, be transformed into a sophisticated C4ISR platform while often not losing any significant capacity as a basic cargo aircraft. At the most basic level, a few inexpensive SABIR components can dramatically increase crew comfort and visibility. Adding the SABIR Scanner Door with its bulbous window actually provides for intersecting fields of view all around the aircraft. SABIR is a system of individual “bolt-on” modular components that can be configured in a number of ways to support various missions, aircraft configurations, and other customer-specific requirements. SABIR components do not require any permanent aircraft modifications. 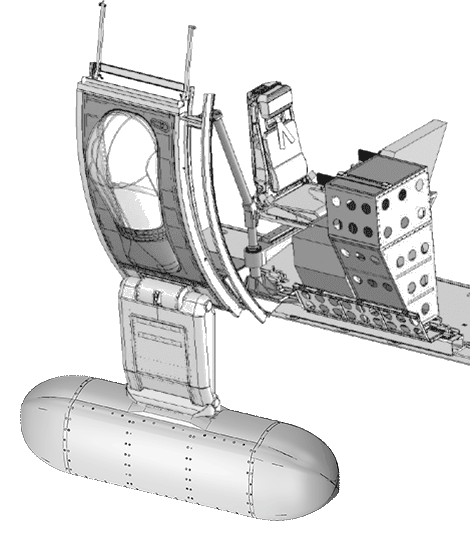 All SABIR components depicted are in retracted & stowed positions for back end operations. All SABIR components are outboard of the ADS rail system when stowed. SABIR does not interfere with loading, unloading, air drop, paratroop static line, or ISU container transport at pallet position no. 5. SABIR has little or no effect on existing C-130 air transport operations when installed. The T-4 Workstation & LRU Racks are universal mounting systems, are modular and open to incorporate a wide variety of technology solutions. All SABIR components are fully operational whether the aircraft is pressurized or not. The SABIR strut is electrically operated and also has independent manual retraction systems to provide redundancy. The AS-6BKS Scanner Door provides dramatically increased visibility, and intersecting fields of view with an observer on the opposite side of the aircraft. The AS-5S Stanchion Seat is adjustable to accommodate individual comfort as well as position; whether facing forward at a workstation, rearward for crash protection, or outward into a comfortable attitude for scanning out the window of the Scanner Door. 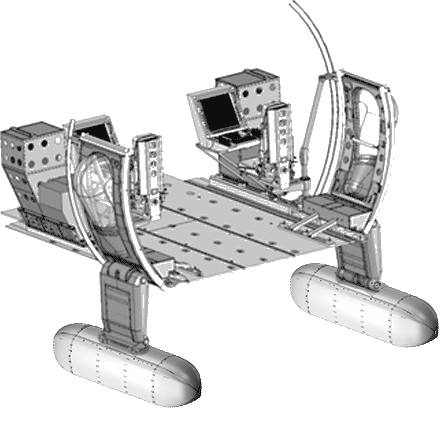 SABIR Can Be Configured On the Left, Right, or Both Sides of an Aircraft. No permanent aircraft modifications are required. Used to expand the aircraft’s Special Mission functionality by allowing the aircraft to fly Next Generation EW and ISR systems. Used with different equipment/sensors/communication suites to facilitate situational awareness, command-and-control and network-centric warfare capability.